Wednesday, 29 June 2016: Spotting an opportunity that sparks an entrepreneurial idea is a dominant driver of startup businesses in South Africa, but they are not creating jobs at the scale and rate South Africa so urgently needs. This is just one of the findings of South Africa’s largest startup survey announced last night by chief executive officer of Seed Academy, Donna Rachelson. The survey was conducted this year by Seed Academy when the views of almost 1500 startup entrepreneurs in South Africa were gauged. Nearly 50% of the entrepreneurs surveyed said creating a business out of an idea that came to them from the environment in which they live, work and play was their main motivating factor. Only 4% of respondents started a business because they were unable to find a job. 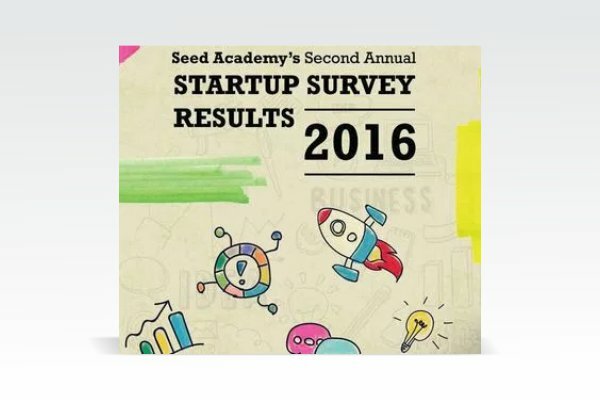 The 2016 startup survey built on the benchmarks established in 2015 when Seed Academy conducted the first start up survey to get a picture of the challenges startups face and the support they need to increase success rates. “This year we sought an understanding of grassroots entrepreneurs, focused in on youth and women entrepreneurs and looked at the challenges faced by entrepreneurs in key sectors. We also gauged the progress made in funding for entrepreneurs,” says Rachelson. The survey revealed that entrepreneurs are taking long periods to gain traction. Rachelson says it is concerning that there are businesses five years and older that are not making sales. The survey found that business survival rates are on the increase, female entrepreneurs remain in the minority and that the ethnic footprint of entrepreneurs does not mirror SA’s demographics – black startup entrepreneurs are underrepresented. Says Rachelson: “While the percentage increase in the age of the businesses is small, the fact it is increasing is a step in the right direction. Our entrepreneurs are resilient. They are primarily working from home and funding themselves with small amounts of capital while facing the well-known challenges of finding customers and raising finance. The majority of entrepreneurs reported starting businesses in the Information Technology (22%), Creative (12%), Wholesale and Retail (9%) or Social and Community Services (9%) sectors. Mining and Automotive were amongst the least popular sectors for aspiring entrepreneurs. A significant outcome was the fact that prior work experience is a major contributing factor in business survival. Business owners that have been in existence for more than 2.5 years reported having more than 10 years prior work experience. Rachelson recommends that entrepreneurs starting a new business may wish to do so in parallel with full time employment. “Furthermore, with 50% of SA’s youth (aged 15-24) currently unemployed, there is a dire shortage of opportunities for them to gain work experience. Innovative ways to provide our young people with work experience need to be found. To develop skills and business acumen, we should be considering interventions such as entrepreneur shadowing or on-the-job training at an SME,” says Rachelson. More aggressively embedding a culture of entrepreneurship across the country.